Parvovirus particle, computer artwork. 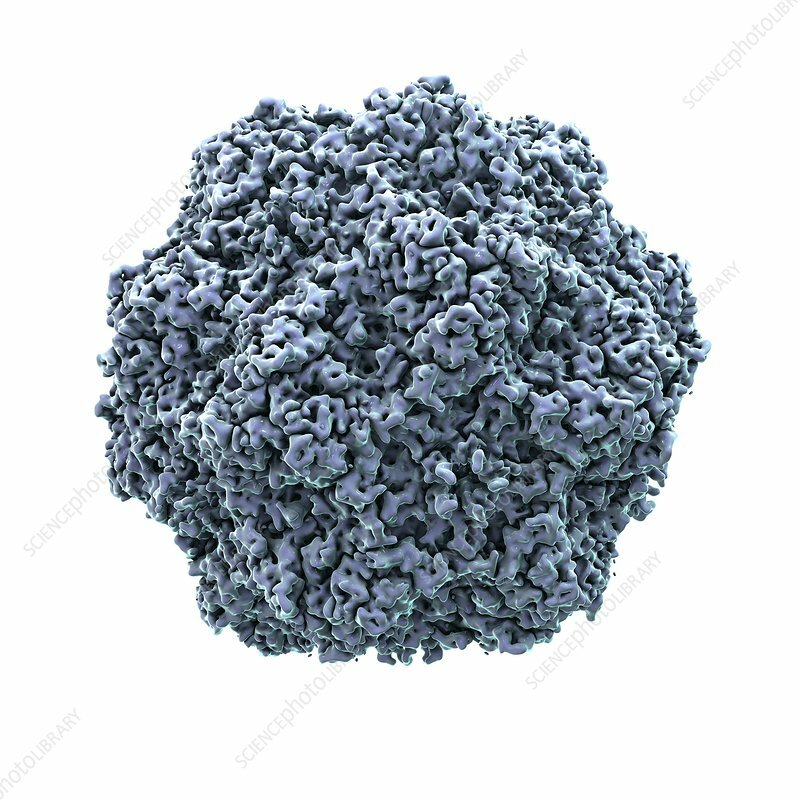 Parvovirus particles (virions) are composed of an outer protein coat (capsid) encasing DNA (deoxyribonucleic acid), the genetic material of the virus. Parvoviruses are a family of viruses that infect humans and animals. In humans, parvovirus B19 causes fifth disease.